The Living Faith Church Worldwide, aka, Winners’ Chapel has experienced an exponential church multiplication by the addition of more than one hundred and twenty-five thousand new members in 6 weeks. In order to keep the move of the Spirit alive, the church has extended its one hour(5:30am -6:30) daily prayer program, the “Covenant Hour of Prayer ” from 5days to 6days, Monday through Saturday. Bishop David Oyedepo,President of the Church, said,”Most moves of the Spirit of God all through church history had been short-lived, because God’s people did not take responsibility to keep the fire burning. 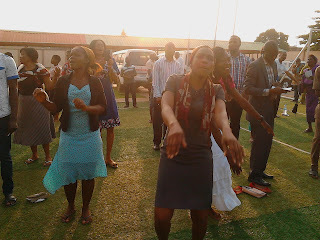 “ But the truth is that, there are things we must do to keep the move of God alive in our midst. As it is written, ”And the fire upon the altar shall be burning in it; it shall not be put out: and the priest shall burn wood on it every morning, and lay the burnt offering in order upon it; and he shall burn thereon the fat of the peace offerings. 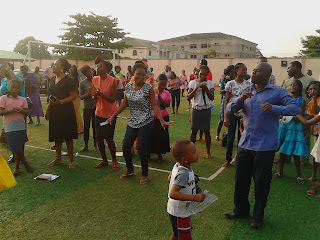 The fire shall ever be burning upon the altar; it shall never go out”. (Leviticus 6:12-13). He illustrated, ”For example, we discover that after Pentecost, the early church engaged daily in prayers, supplications and intercessions. (Acts 2:46-47/Acts 3:1). The special 7 week outreach took place in all the church locations across the globe. The number here presented is for the Faith Tabernacle, Ota, alone. More than 200 years ago, the skeptic and famous French writer Voltaire predicted that,”…in 100 years Christianity will be but a vanishing memory”. 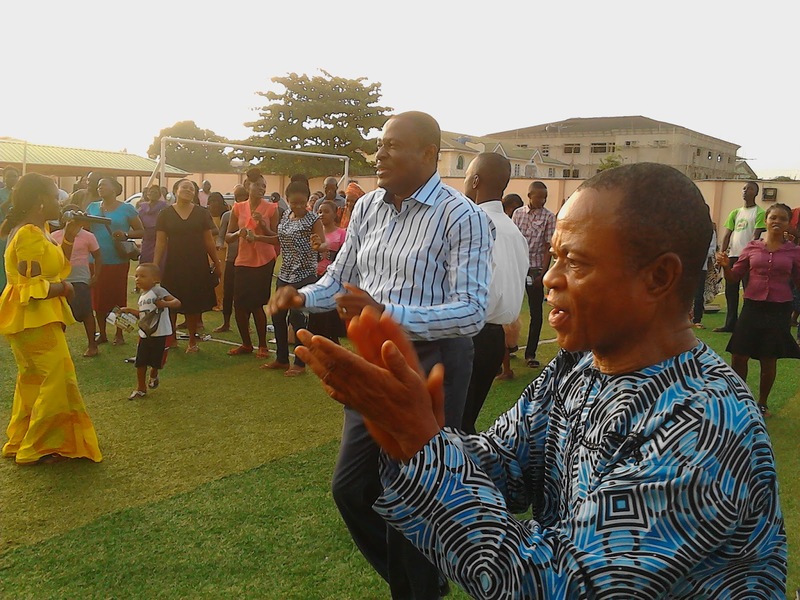 Pastors Eduvie and Nsese and the great army of laborers giving thanks to the Lord of harvest at the final day of the "wonder-double" 2015 at Gowon Estate, where one of the several Districts of the church is located in Nigeria. Church growth statistics back in 2010 showed that every day, more than 115,000 people accept Christ as their personal Savior. On September 1857 Jeremiah Lanphier, a businessman, began a series of prayer meetings in New York. …Soon a common mid-day sign on business premises read, ”We will re-open at the close of this prayer meeting”. By May, (about 8months later ), 50,000 of New York 800,000 people were new converts. It is expected that news of this revival will spread fast to set on fire a commitment and dedication for soul saving prayers and actions with the infallible expectation that God would work in like manner elsewhere. 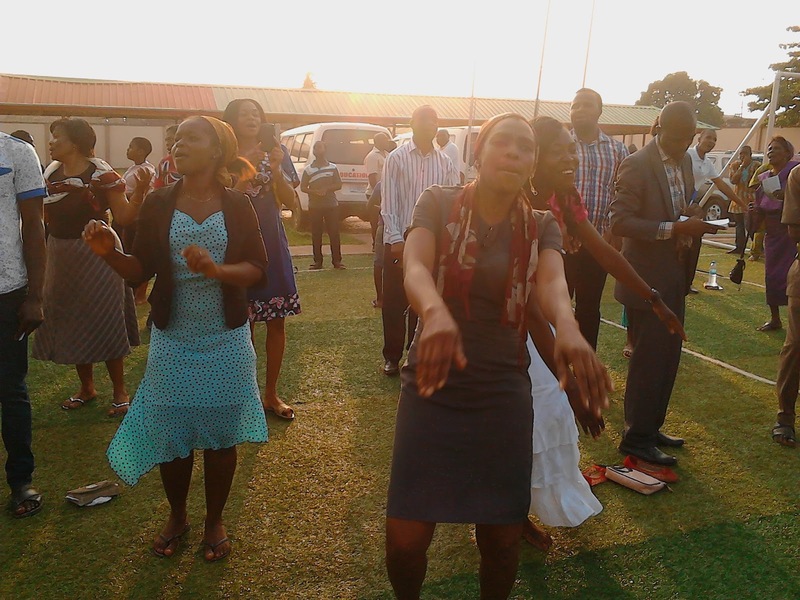 This is Pentecost come alive.